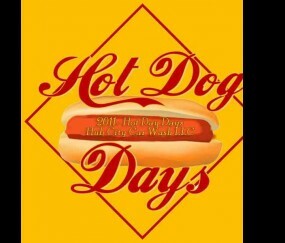 Every year in July, Rochelle has its Hot Dog Days where businesses can participate in serving free hot dogs to the public. Thanks to Abraham’s Bar and Grill, Prescott Brothers Ford, Sunset Lounge and Liquors, Moore’s Hardware, Tom’s Tire & Service, Atlas Auto, Rochelle Methodist Church, and State Farm Insurance. Also thanks to Rochelle Foods for donating the hot dogs, Walmart, Sullivans Foods and Aldi for the buns and Rochelle Del Monte for the ketchup.